Designed to boost productivity with secure, efficient document workflows, the easy-to-use ES9455 MFP handles heavy workloads with ease. OKI’s embedded sXP (smart Extendable Platform) provides flexible open architecture for seamless integration with document workflow, while versatile paper handling, a range of finishing options and high-performance LED technology make it easy to produce high-quality documents. A superior A3 colour multifunction printer with in-built security features, the ES9455 MFP is ideal for busy workgroups. OKI’s embedded sXP platform enhances productivity and streamlines workflow with electronic document capture, distribution and management. Ideal for the office that requires High Quality Colour A3 prints but speed is not critical. 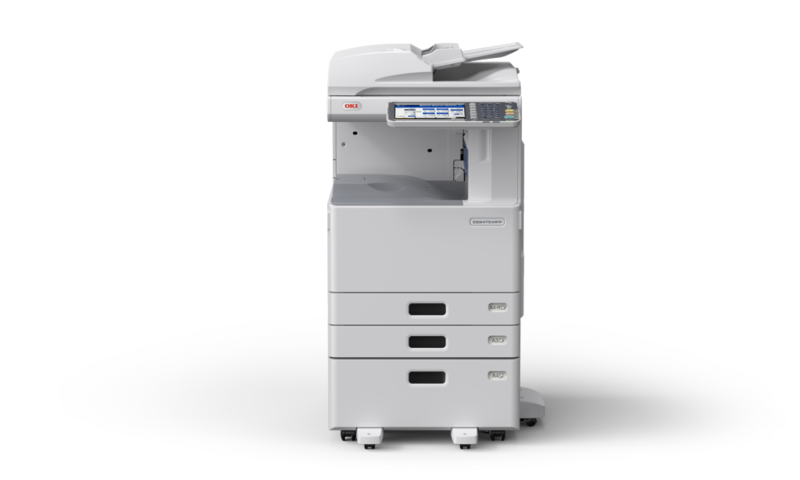 ​Embedded in the ES9455 MFP, OKI’s sXP (smart Extendable Platform) technology brings the flexibility to electronically capture, distribute and manage document workflows, boosting productivity. 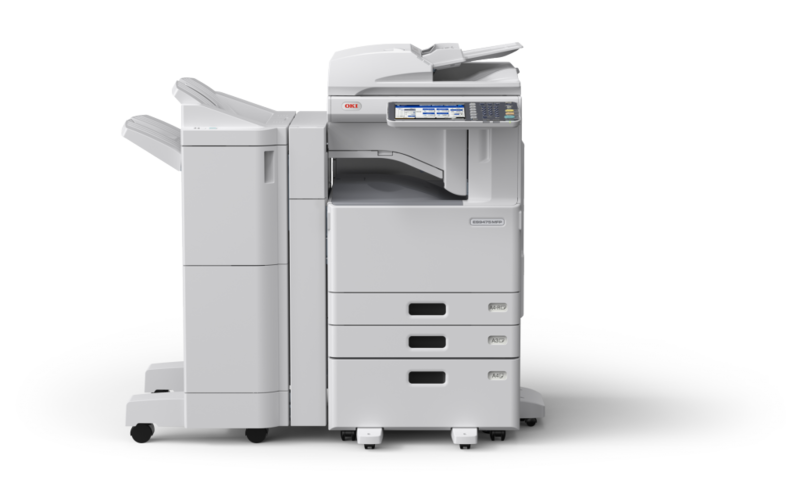 A range of configuration and paper output options including several finishers are available with the ES9455 MFP, giving it the versatility to produce a range of business documents in-house. An intuitive, user-friendly large colour touch screen display makes it easy to access key functions including printing, scanning, faxing and copying. 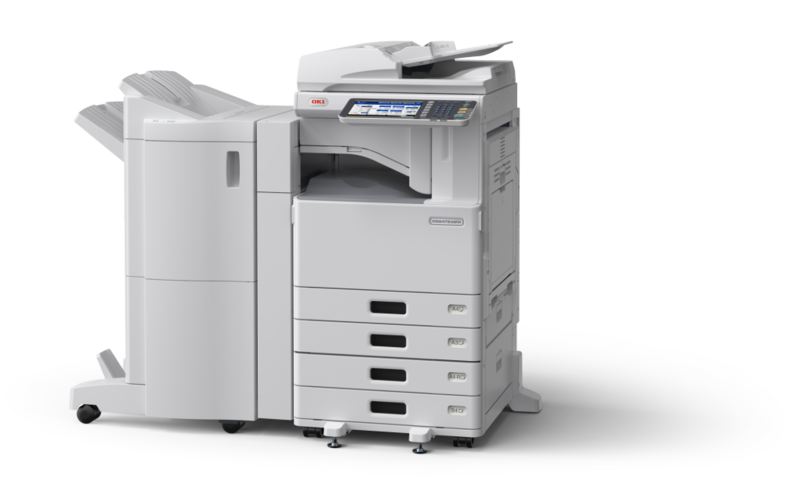 Designed to meet the highest industry standards, the ES9455 MFP helps keep sensitive data and confidential documents secure with the latest security features. Digital LED print technology combined with versatile paper handling makes it easy to produce high-quality, professional documents in house, saving time and budget.